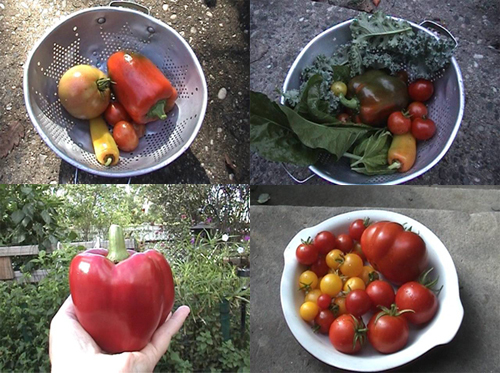 Here are a few shots of some typical harvests from the garden. Veggies and greens are usually picked right before meal prep. These are from the 6' by 4' garden box.